Editor's Note: This is one in a series of blog posts written by Rachel Heil ('19) highlighting Concordia faculty members' research efforts. Dr. Sharon Chappy once joked that her husband always asks her why she decided to take on more work for less money. 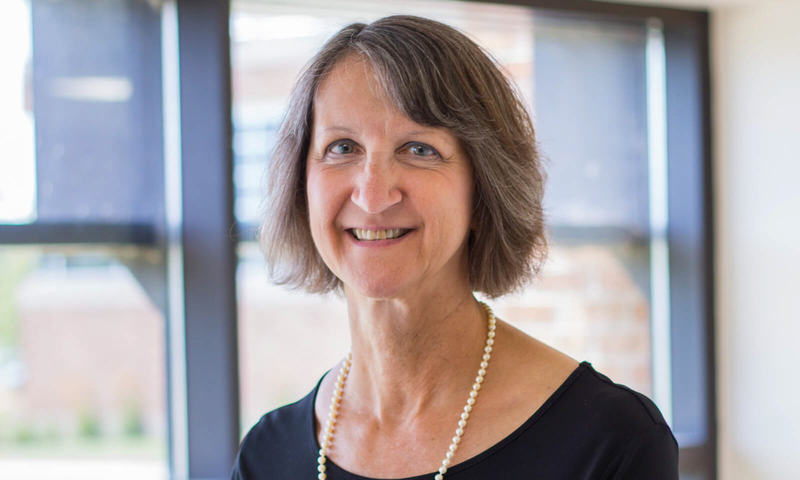 Before she began her career as a full-time faculty member, Dr. Chappy worked as a nurse manager in the operating room at Valley View Medical Center and then as an operating room nurse at Aurora Sheboygan Memorial Medical Center. As a nurse, she brought in a healthy salary working in high-stakes situations. Over her past nearly four years at Concordia as dean of the School of Nursing, Dr. Chappy has immersed herself in scholarly pursuits by securing several grants, and not shying away from the face of rejection. One of the projects Dr. Chappy is currently involved in is the Healthy Kids Collaborative, which is being spearheaded by Mayor Tom Barrett. The collaborative involves baccalaureate nursing schools in the Milwaukee area and Milwaukee Public Schools (MPS), with the goal being, in Mayor Barrett’s words, “to blanket MPS schools with student nurses.” As Dr. Chappy points out, many Milwaukee students have great health needs and most schools cannot afford to have nurses on hand. Therefore, this project helps getting student nurses into the schools and helping students who have health issues. In addition to the Healthy Kids Collaborative, Dr. Chappy is also involved in a project involving Fresh Meals on Wheels in Sheboygan County. In a chance meeting with the director, Dr. Chappy learned that many seniors who receive Fresh Meals on Wheels are frail elders who will say anything in order to go home after a hospitalization, even if that environment is not safe. Many elderly are at risk of falling and do not take their medications as prescribed. To help with this issue, Dr. Chappy, along with Dr. Michael Oldani, the Director of IPE, Dr. Travis Suss from the School of Pharmacy, Dr. Lois Harrison and Professor Stacey Kukor from the School of Health Professions have developed a program in which faculty and students in pharmacy, nursing, occupational therapy, and physical therapy will conduct an interprofessional health assessment with consenting seniors who receive Fresh Meals on Wheels. Participants are assessed for falls risk and home safety, vulnerability to depression, and mental status, as well as making sure they are taking their medications safely and as prescribed. Dr. Chappy points out that many of these seniors need help being safe in their homes and things such as simply moving furniture, adding grab bars, or picking up throw rugs can make it easier for them to move about their homes. Many of the issues these people face are not covered within the traditional health care system and Dr. Chappy, along with Dr. Oldani and the team, hope to create an environment in which that can change. The in-home assessments provide students an opportunity to learn how to work together in an interprofessional team to see the elderly within their homes and identify the barriers they face to remain living there safely. With all this experience, Dr. Chappy offers some advice for those who are hesitant to get involved in scholarly activity.